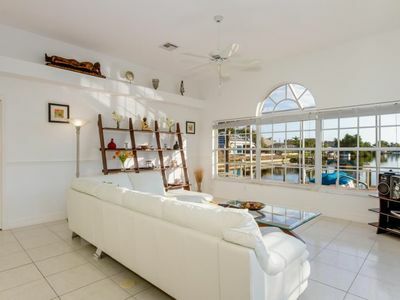 BR: 4 (1 King, 2 Queen, 2 Twins); Baths: 2; Sleeps: 8; Pool: Elec Heated; Spa: Yes; Canal: Gulf Access; Boat Dock: Yes; Boat Lift: Not Avail; Exposure: E, 2135 sqf; Year Built: 1998 - Remodeled; TVs: 5; Free WIFI: Yes. Villa Alexa is perfectly suited for a larger family or couples with kids traveling together. 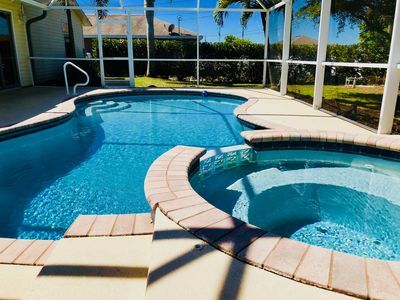 This completely and beautifully renovated vacation home is in the quiet and desirable neighborhood of the SW Cape with convenient boat access to the Gulf of Mexico and its many tropical islands, beautiful beaches and hidden coves. Alexa is near restaurants & bars and the Cape Harbor Marina, with its great restaurants and boutique shops as well as grocery stores, drug stores, postal service and banks. 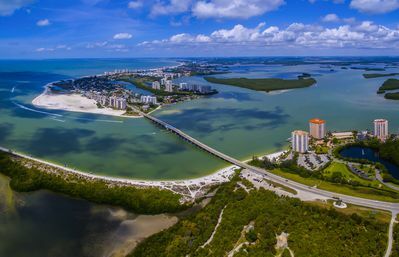 The nearest beach at Cape Coral Yacht Club is just 10 minutes away by car, and the beaches of Ft. Myers and Sanibel Island about 30 to 35 minutes. 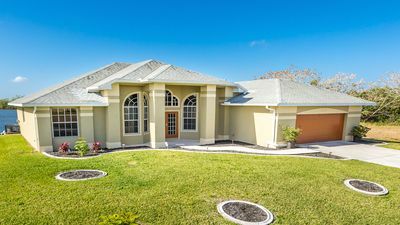 Villa Alexa features vaulted ceilings and has a split floor plan, which keeps the tastefully renovated master bedroom and two guest bedrooms in opposite areas of the house. 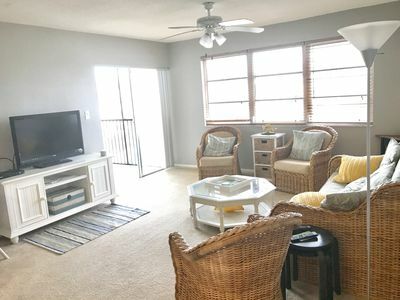 The master bedroom with double sliding door to the lanai is furnished with a comfortable King-Size bed; the second and third bedroom features Queen-size beds and the forth has two Twin beds. The master bath offers a cabinet with two sinks, a large bathtub and a shower. The other bedrooms share the second bath with a bathtub/shower combination. The open layout of the fully furnished kitchen with all necessary appliances leaves virtually nothing to desire. The attached breakfast bar is very convenient for a family breakfast or a quick bite on the run. 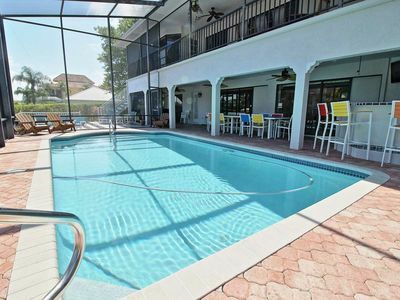 The area for formal dining is right next to it and offers almost a full view of the lanai with the heated pool and spa. 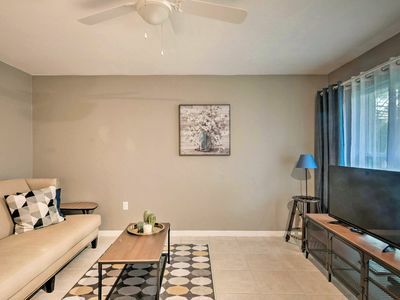 Relax in the comfortable large family room; it features two large couches, two recliner chairs and a large flat screen TV. 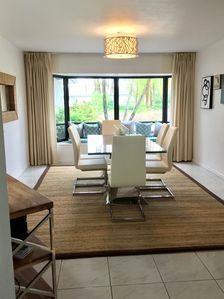 In the fully screened lanai you will find a two dining tables, two lounge chairs and a gas grill. Throughout the 2,135 sq. ft. large house you have a total of five flat screen TV in the house. 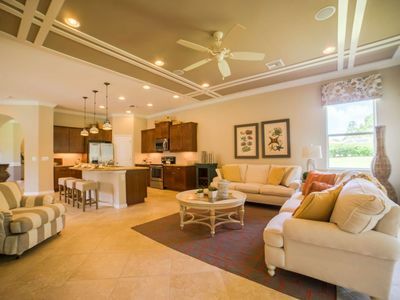 The spacious sitting room with view of the lanai/pool area features two couches. Of course, Wi-Fi and high-speed internet access is available. The sun deck at the extra wide Gulf access canal is perfect for sun tanning or fishing. Enjoy watching motor yachts drifting along the canal on their way to the Gulf islands. 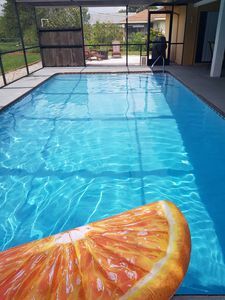 Further amenities include pool tools, beach chairs and fishing rods. 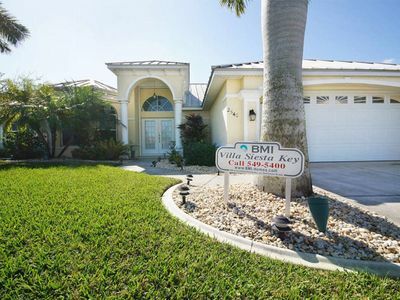 As this vacation villa has access to the Gulf of Mexico you should consider renting a boat for a few days. We offer the convenient and time saving way to rent a boat directly from us. One of our licensed captains will provide you with detailed instructions including a short trip on the water. 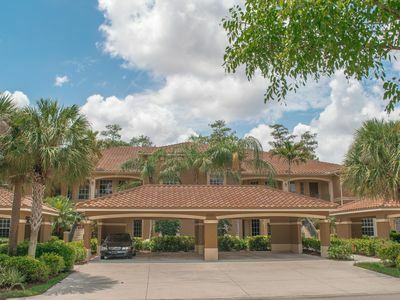 Take boat trip through the canals lined with multi-million-dollar homes (their waterfront side is usually even more beautiful than the street view) and you will be on your way to the Gulf of Mexico. Enjoy watching the playfully swimming dolphins and large schools of tropical fish. 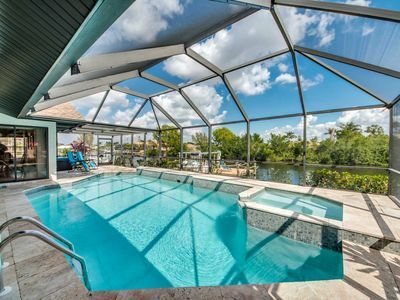 Come and experience an unforgettable vacation in SW Florida. 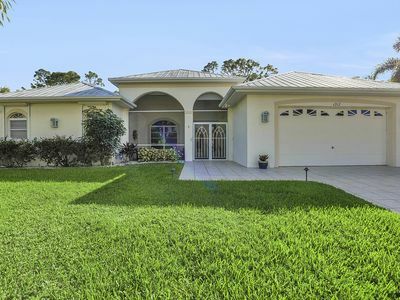 Private, 55+ Gated Community, Full Activity Center, Luxury! Free Bikes, Short Walk to Town Center. 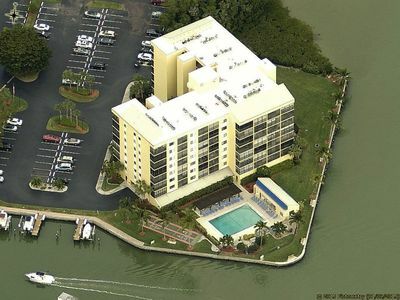 Welcome to 140 Jefferson on beautiful Fort Myers Beach. 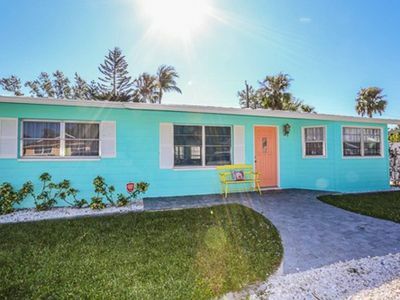 This cheerful, remodeled, three bedroom, two full bath, pet friendly, ranch style home is located in a quiet residential neighborhood just a one minute walk to the beach. Introducing Tropicana Beach! 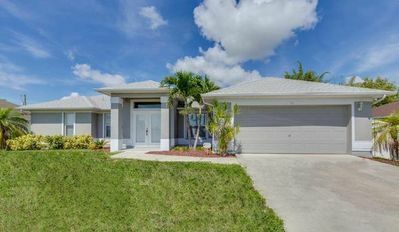 3 Bed 2 Bath HEATED Pool Home with built in Spa! 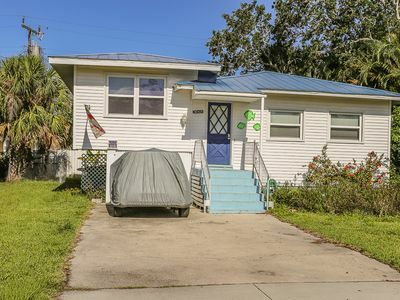 Enjoy your stay at 131 Delmar in this cozy 2 bedroom/2-bathroom pet friendly beach cottage that is located on the north end of Fort Myers Beach.